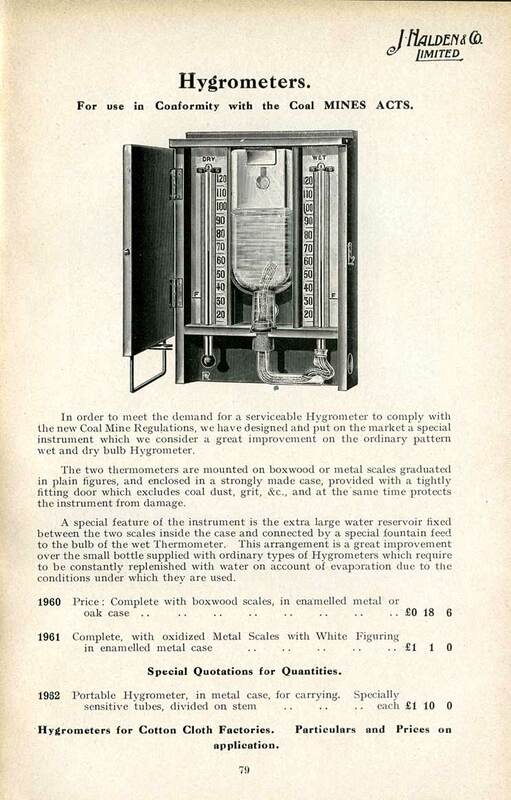 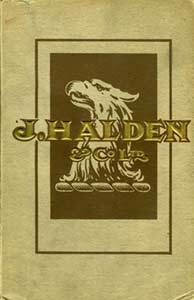 Note: As is common with early catalogues, the Halden catalogue bears no date. 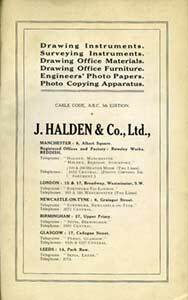 However, a pasted-in note states: "Owing to conditions brought about by the War ... ", and by the style of the illustrations and the prices this would have to be World War I. 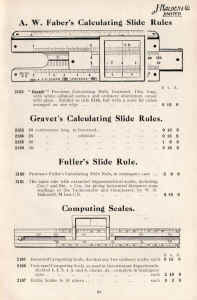 The catalogue also references the ABC code book, 5th edition, which was issued in 1901, with the 6th edition coming out in 1920. 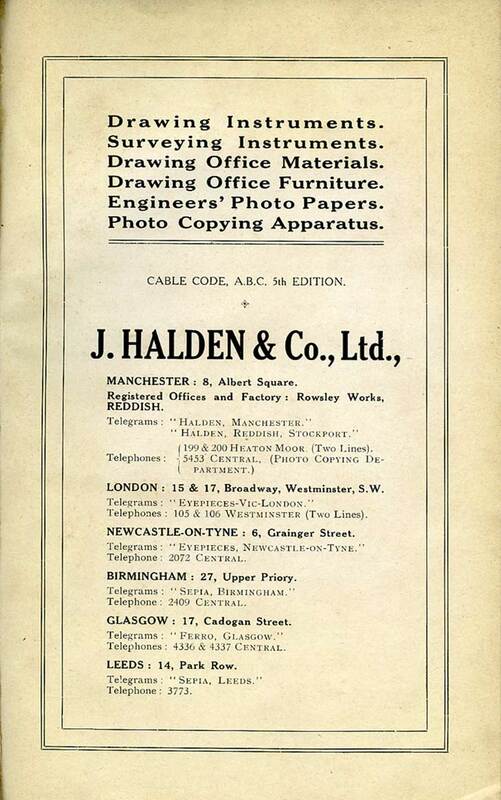 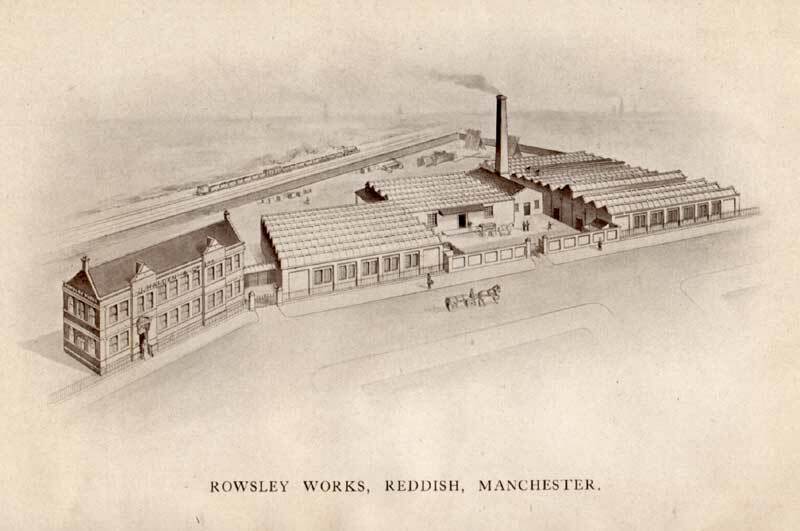 Based on this evidence, it's likely that the catalogue dates to 1914/1915. 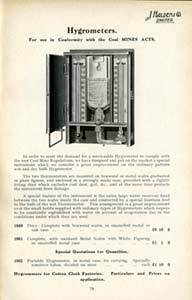 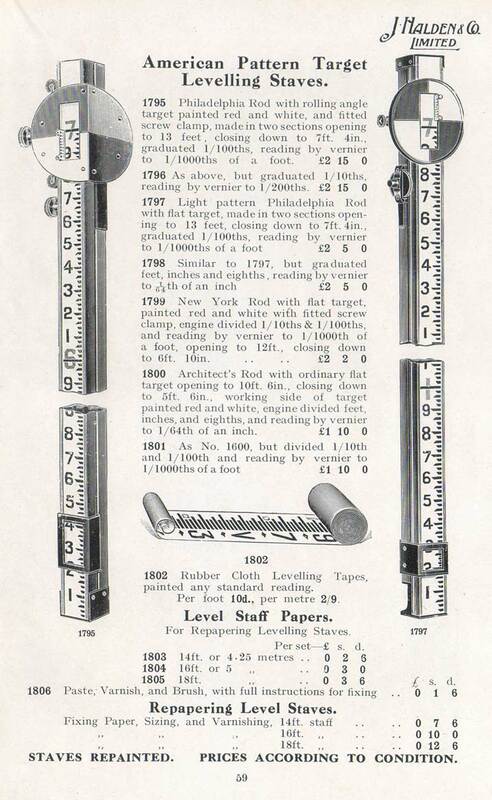 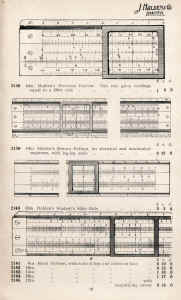 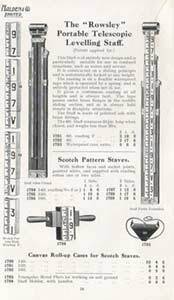 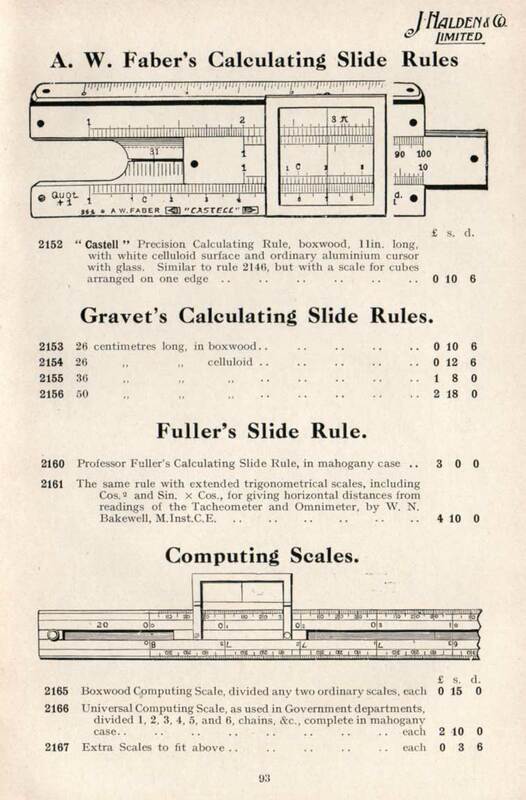 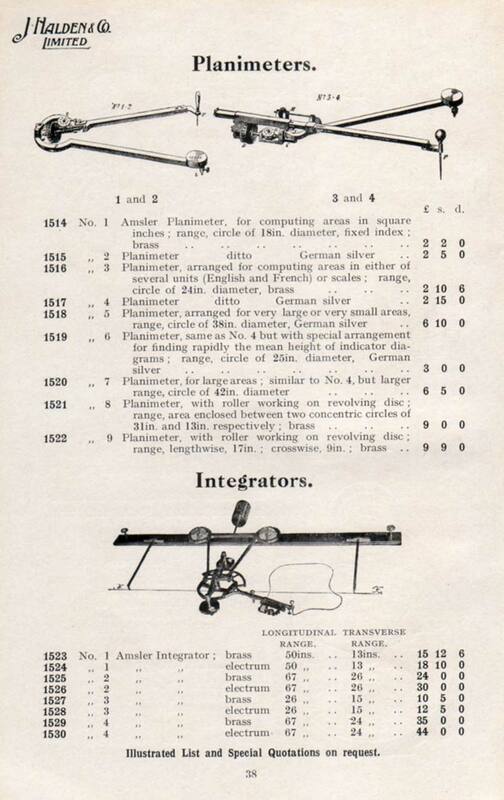 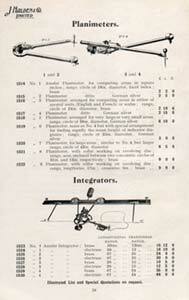 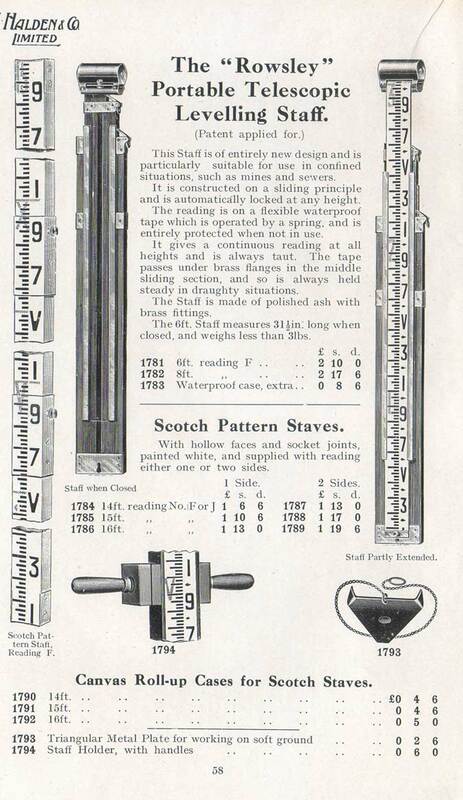 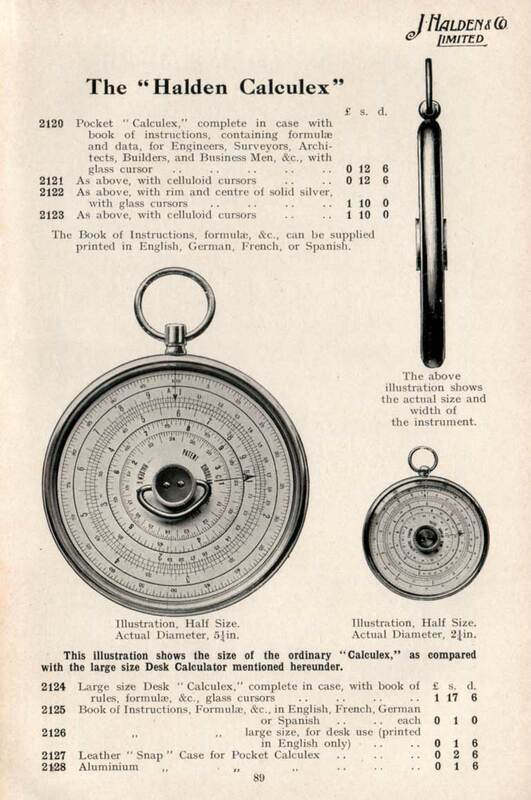 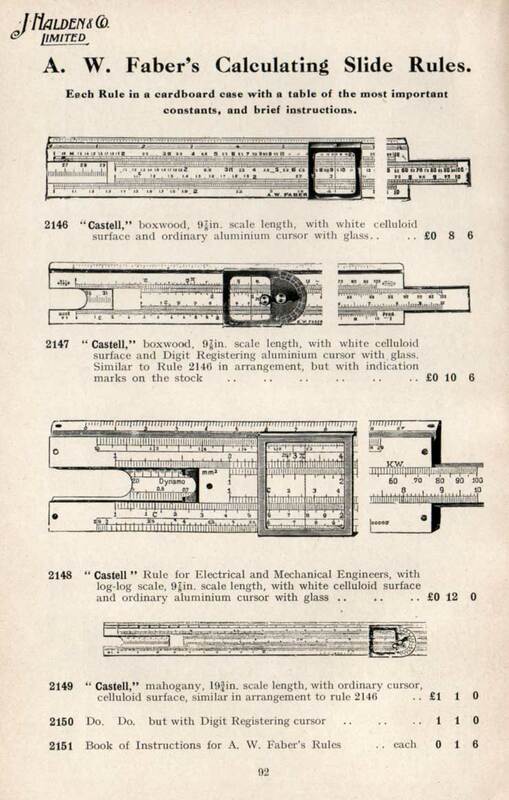 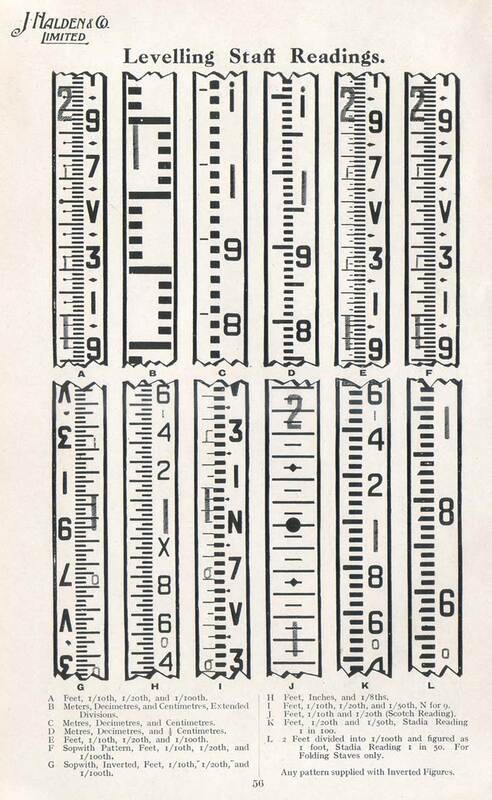 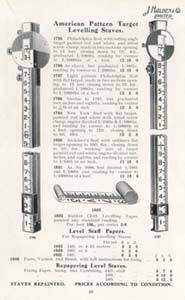 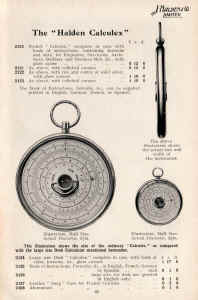 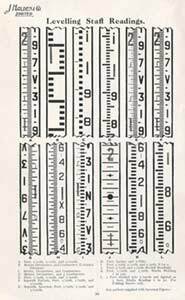 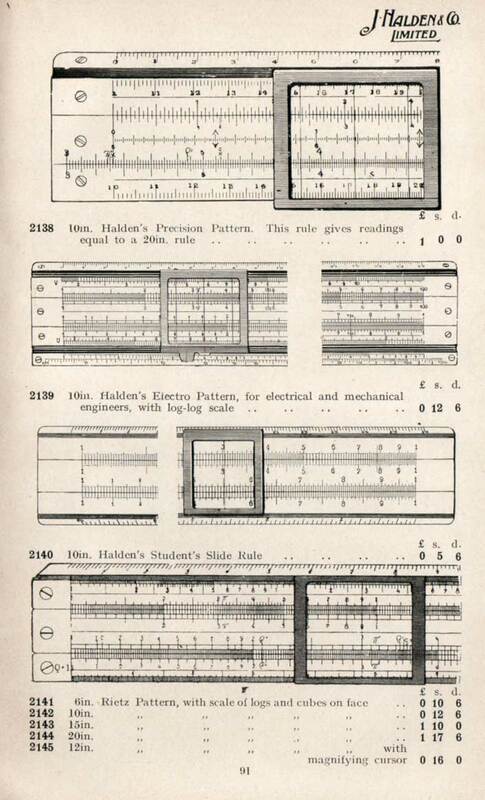 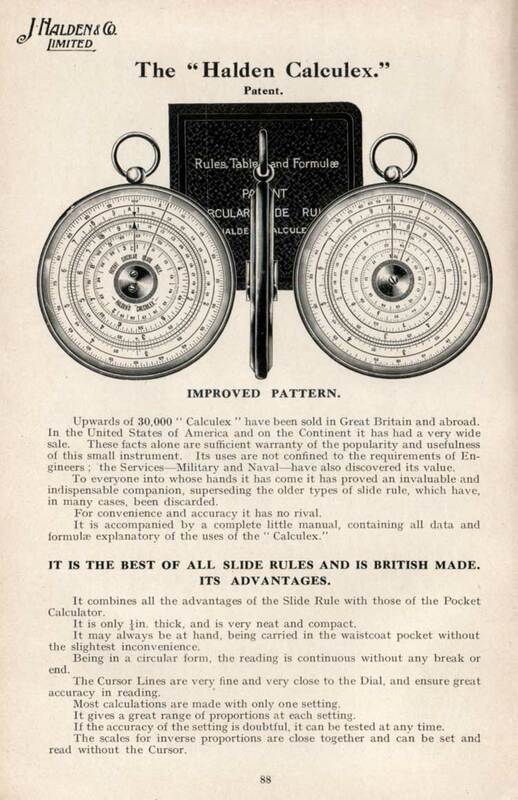 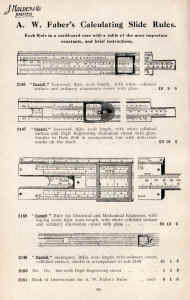 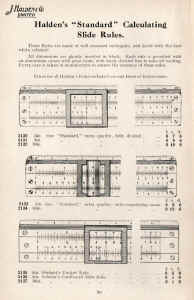 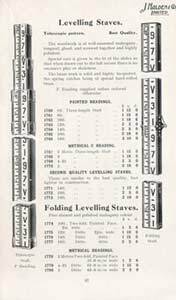 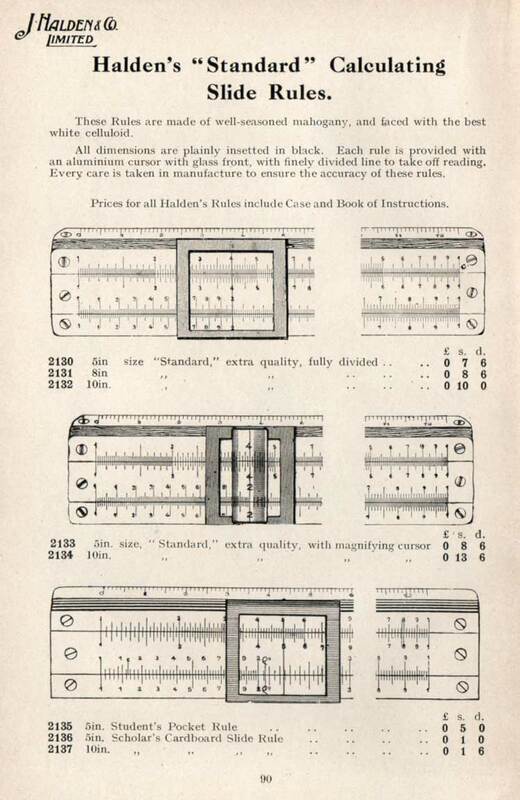 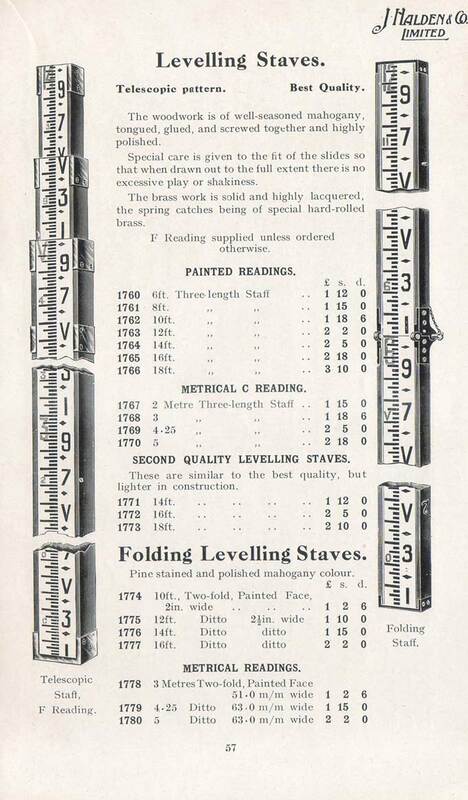 Keuffel & Esser (K&E) slide rule catalog pages from 1881 to 1972 are listed and illustrated on Clark McCoy's excellent site.